We love the sea and we love physical activity. We are always searching for new challenges and when we first tried SUP activity, we fell in love immediately and it led us to introduce Stand Up Paddle boarding to many people in a professional and fun way. The combination of paddling with friends, beautiful view and body shaping exercises, has become an integral part of our lives. Therefore, in April 2015 we opened “SUP CLUB LIMASSOL” in Cyprus and created a new home for Stand up paddlers, beginners and advanced. We are located at the beautiful beach of Four Seasons hotel. SUP Club Limassol club was opened in April 2015 by Shlomit Mazon Kiesari and Orna Shafat Chen. 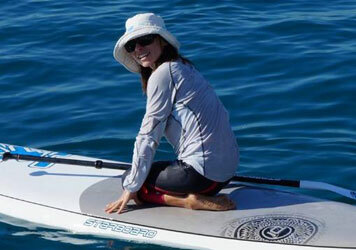 We are to two women that were exposed to Stand Up Paddling” at 2013 and after continuous practice we fell in love with this activity and decided to expand it to more people in Cyprus. We are both certified by ASI – Academy Of Surfing Instructors- the world’s leading adventure sports training and accreditation organisation. 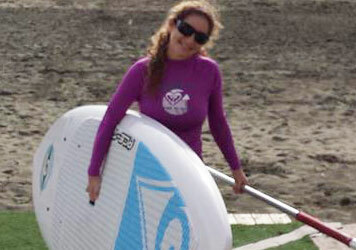 L1 + L2 Stand Up Paddle instructor (Academy of Surfing Instructors). Water Rescue Certificate (Academy of Surfing Instructors). Cyprus First Aid Certificate. Shlomit has more then 20 years experience in indoor and outdoor sports instruction. Among her expertise: Les Mills, spinning, Pilates, Trx, aerobic dance and step. Orna has been practicing Pilates for the last 15 years, she is a Pilates instructor and former dancer.